Each school day, an affectionate hello and handshake start the day for our Kendalwood toddlers as they arrive in the sun filled classroom. 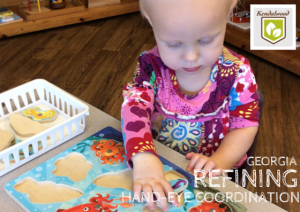 The morning handshake is a traditional Montessori practice, which is particularly endearing with our youngest students, and while adorable, it also plays an important role in setting the tone for the school day ahead. The ritual of greeting one another at the beginning of each day marks the transition into the work day and takes the time to ensure each student feels welcomed and valued as a member of the classroom. 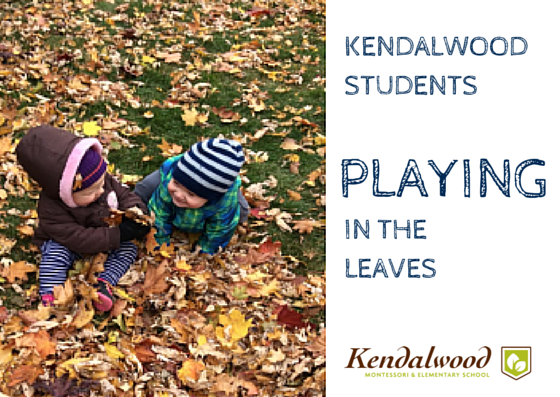 Shaking hands with our students is not the only unique characteristic of the Kendalwood toddler experience. 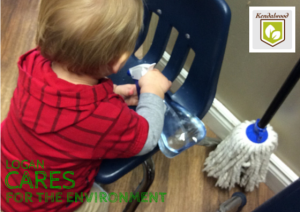 The Montessori mantra of “help me to do it alone” guides the careful preparation of our classrooms. The environment reflects a child’s size and perspective to reinforce independence and self-motivation at every opportunity. 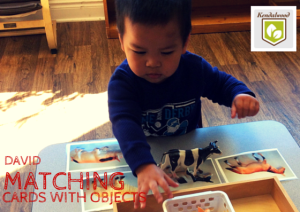 The Toddler classroom provides opportunities for movement and exploration while simultaneously developing the child’s a sense of order and concentration. 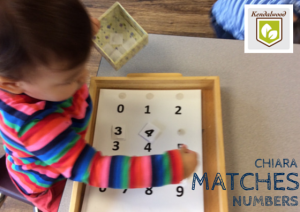 This all sounds quite serious, but rest assured our toddlers truly delight in the Montessori method of developing these foundational skills. The goal is to encourage an early enjoyment of learning and our inquisitive toddlers take great joy in the process! Help me to do it alone. – These words from Maria Montessori are a daily reminder for all Kendalwood staff, with particular emphasis for our toddler community. As our young students complete their morning arrival routines and settle into the classroom, work periods begin. 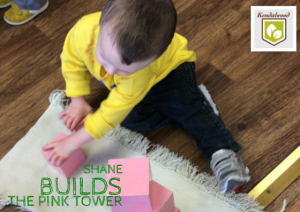 Play and work are synonymous for toddlers and the children are able to select materials to work with from the classroom, which has been prepared with their educational needs in mind. A cycle of independent work begins. 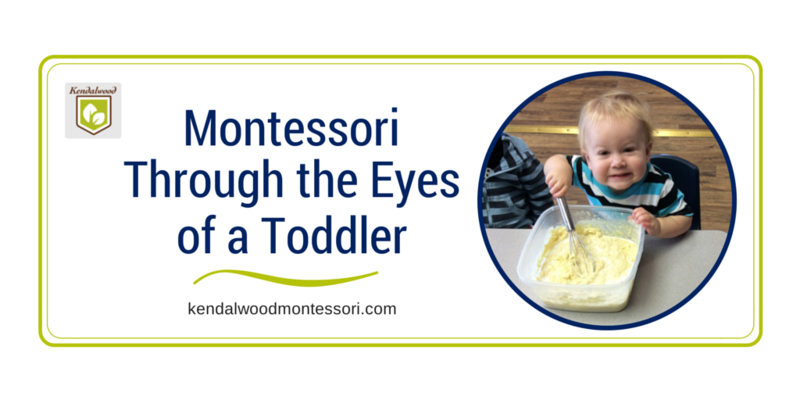 On other days, toddlers may begin the day with a teacher-led lesson or a hands-on experience. 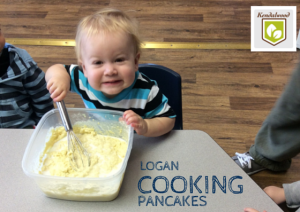 We also have lots of fun through experiential learning, which often includes baking or art during the morning work period. It wouldn’t be a Kendalwood morning without Music with Mr. Linderman who joins the Toddler classroom with his guitar in tow as the children happily and excitedly gather for circle time to sing songs. Following music, the children head outside to run and play! 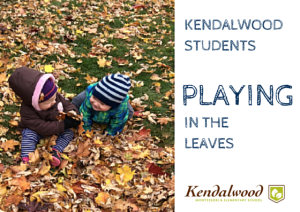 Outdoor time is unstructured recreation, but occasionally includes outdoor lessons or seasonal activities such as raking leaves in the fall or planting in the spring. After burning off some energy , students return inside where each child takes an active role in setting their place at the table for lunch. They arrange their own place mat, plate, cup and cutlery at the communal table to enjoy a meal with their friends. At the end of the meal, the children once again participate in clean up by removing dishes to be washed and discarding any leftover food from their plate. It’s time for a rest! Our toddlers settle for their afternoon nap while their Teachers tidy up, make notes for parents and plan future lessons. After naps and more snacks, Mme. 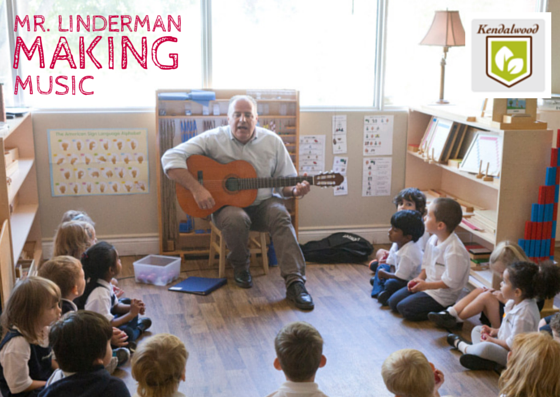 Borges greets the children for daily French during which they happily dance along to songs, gather for a story, and learn many new things each and every day. Our youngest students have been doing important work as they establish new bonds outside of the home with their teachers and classmates. They are ready to go home!As parents arrive to pickup their children, our toddlers end the day just as it began – with a handshake! 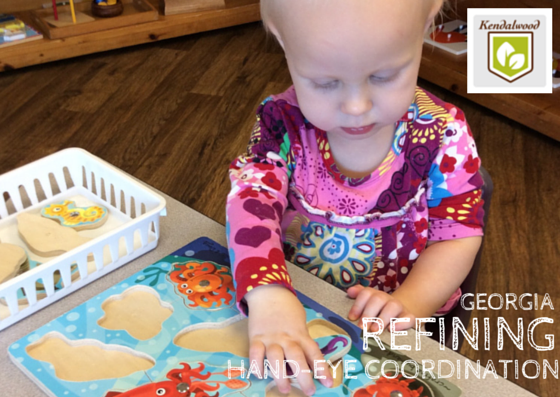 Read more about our Toddler program!